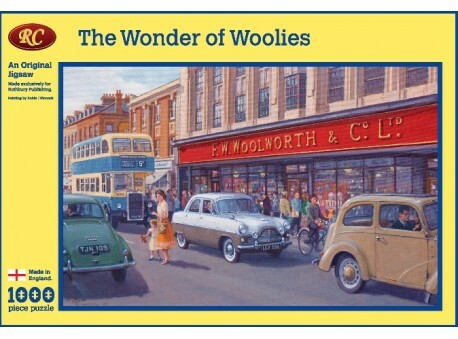 So many people have fond memories of Woolies, from the broken biscuit assortment the timber floors and the bright red fascia. When F.W. 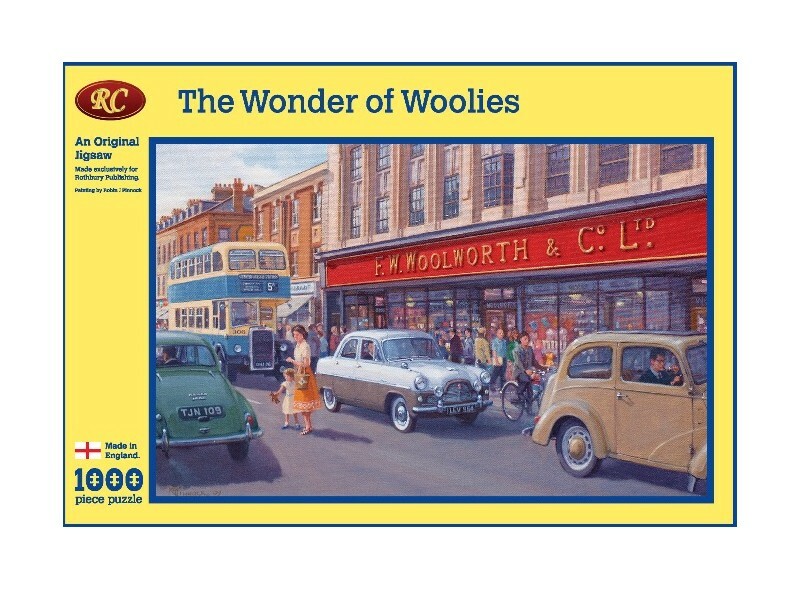 Woolworths started trading in Liverpool in 1909 everything cost just 6d.Within hours everything from tin plate toys to glassware had gone from the shelves, in 1920 Woolworths were receiving huge amounts of letters from local authorities around the country to open a store in their town. Robin Pinnock's painting is based on the store in the high street at Southend on Sea and features life in the early 1960's.